How Responsible is Township Tourism in South Africa? Today I’ll share a piece with you that I wrote for the organisation Tourism Concern, about my township tourism research in Cape Town. Feel free to contact me to discuss the findings or other relevant topics related to this. During a holiday in Cape Town in 2009 I went on a township tour. Not knowing much about tourism to urban impoverished areas at the time, but concerned about how the communities would benefit from my visit, I looked for an ethical company I could trust. To my positive surprise I found out that not only tour companies, but also the government’s tourism body assure that tourism is beneficial to the township communities as well as very educational for the visitor. Any specific initiatives were not indicated, yet tours were promoted as a ‘must’ to learn about African culture. I decided to book a tour with a small local company and liked the experience as it was indeed eye-opening and the residents I met were welcoming. However, ever since I was unable to stop thinking about what is in it for local populations. Therefore, three years later, the choice of subject for my final research project during the Master’s program Responsible Tourism Management was easy. I went to Cape Town to investigate the scope of community beneficial initiatives within township tourism. 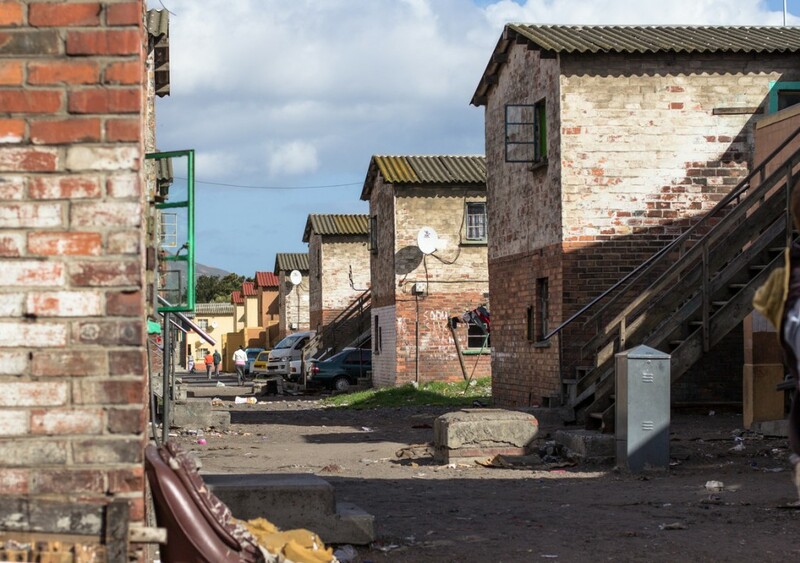 During the 4 weeks of fieldwork in the townships Langa and Khayelitsha I explored six tour operators’ actions and opinions related to previously identified issues of concerns in the field of slum tourism, by interviewing them about their responsible practices and participating on their tours. I also interviewed forty inhabitants from the most visited areas about their perceptions of tourism impacts and four representatives from the local government about current work on responsible tourism in the field. I will here reveal some of the findings from my research. While there is no doubt that the South African township tourism sector holds a large number of professional tour operators that mean well for the communities they visit, the evidences of their many positive impact claims are few. And although I experienced that both companies and guides conduct tours respectfully in terms of friendliness, photography policy and information giving that assist in combating stereotypes, I detected ambiguity regarding fair pay of involved hosts, as well as several untapped potentials for maximised positive impacts on the communities. One example of such is tour companies’ avoidance of fairly compensating the most deprived households they involve in their tour. During the distinguishing ‘labour hostel visits’ tourists are taken into the shared bedroom (which also serves as their living room) of four families to see and learn about poor living conditions. Of the eight such interviewed households in my research half of them claimed to get more than five visits per day, and none stated to benefit economically, unless tourists occasionally left some money. Regrettably I was repeatedly told that donations occurred to a decreasing extent after more local guides had penetrated the market and the competition for the much wanted tourist money had grown. Another example regards the creation of interaction, which ironically is one of the main promises on the many company websites. It may be a coincidence of course, but sadly I only experienced twice during ten tours that we as visitors were given the time and possibility to interact with the locals (even during the popular hostel visit as described above). The consequence of this is that the hosts (or any inhabitant present) turn into passive objects rather than active participants, hindering them to exploit the big potential for social and economic empowerment. Regardless of these issues of concern, it became clear to me that township dwellers do welcome tourism because it represents the only industry through which many can enhance their living conditions and situations, in areas that are longtime forgotten by the government. Throughout my time in Langa and Khayelitsha I couldn’t stop thinking that it is on behalf of this very hope, in addition to the inhabitants’ tremendous hospitality, that the majority of the tour operators earn very good money. And personally, until I know better how that income is redistributed and put back into the community, and the government begins to take the sector seriously and regulate it, I have my doubts for its sustainability. Sadly those thoughts reflect previous research within not only township tourism in South Africa, but also about slum tourism globally. Lastly though, let it be clear that there is no doubt that good initiatives exist in this field, and some township dwellers indeed have got their livelihood enriched due to tourism. Besides, whether people like it or not, there are reasons to believe this phenomenon is here to stay. Hence is it crucial that the way forward is to actively find ways to awareness rise about its issues and require that government acts, while highlighting and rewarding the many (hopefully) ethical initiatives in place. FYI. The above article was first published on Tourism Concern´s webpage. Did you like this post? Go ahead and share it then! I am not dependant on the government for my livelyhood nor my children if I could help it . I still want to contribute towards creating jobs and still towards tax for my ccountry. Hoping to hear from you. Hi Lindi, and thank you so much for your interest in my work and feedback on the article. Im sorry about the delay in answering you, but I wasn’t aware of your response until today. Sounds like you’re doing a good job in Soweto, and I would for sure like to learn more about it. As I’m not based in SA at the moment I’m not updated on how to approach universities regarding getting students to research your business and its impacts. Regarding contributing to someone’s career this way, I’m not sure what you mean… Important to note that depending on the research’s nature, methodology and purpose it’s rather a township business that’s able to benefit from potential trustworthy and “good” results from a research, rather than a student benefiting from his or her findings from a research. As for understanding more about that matter, there is a lot of information and advocacy on Responsible Tourism principles on SA’s official tourism board’s webpages. If you see the need to learn more about that or want to implement responsible tourism principles in your operation, I advice you to check it out. Responsible practice for township tourism: An exploration of Stakeholders’ opinions, commitments, actions and expectations in the township of Langa, Cape Town.Master’s thesis. Yet, when I tried searching for your thesis, I could not find it. So, I was wondering if you could help me out with that? My name is Franziska and i am a german student in 11th grade. I have to write an academical paper about Township Tourism in South Africa so i am very interested in reading your entire article or to get more information about your ‘final research project’. I would be very grateful if you could send me your report or other information if possible. How can the tourism industry reduce its water consumption? Do you want some inspiration?